Black & White Striped "Water Resistant" Outer Shell, Reversible to Solid Black Inner Shell. Black Ribbed Collar, Sleeves and Waistband. Full Length Front Zipper. 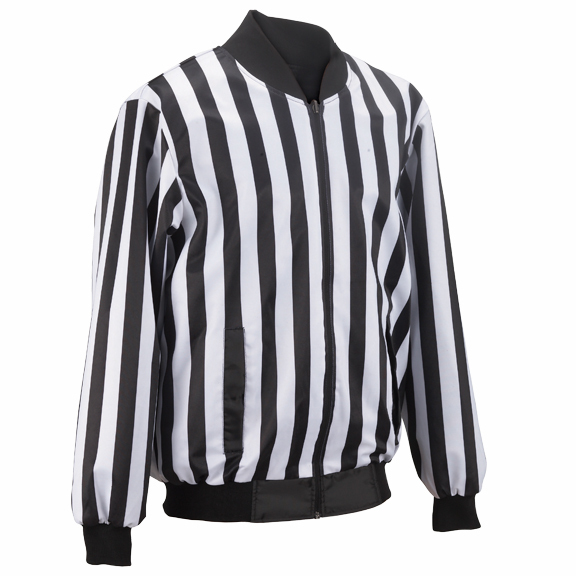 Comes in 1" stripe only.